If you want to add some snarky, funny dorm stuff to your college decor, then tin signs for dorms with some humor to them are the perfect supplies for college. 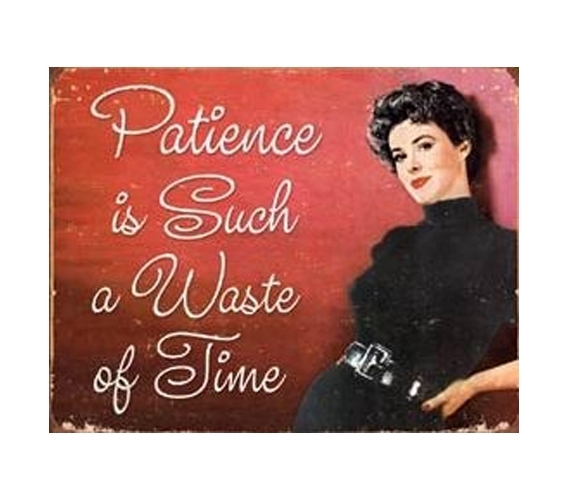 When you're decorating your dorm room, dorm tin signs like this Patience Time Tin Sign are college must-haves if you want to have a laidback and funny vibe to your living space. While so many dorm room wall decorations showcase favorite movies and musicians, add some truly unique dorm decorations with cool tin signs for college. And who can't use a few laughs during college life? Everyone can! Making this college supply even more worth it.